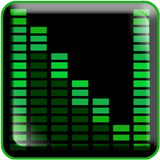 NeatMP3 Pro is a powerful music organizer software for Windows that can easily merge, rename and edit the tags of all the audio files on your computer or server. Do you have thousands of poorly labelled music files scattered all around your hard drive that are just waiting to be organized and renamed? This is where NeatMP3 Pro comes in with its intuitive interface and powerful organizing engine. With NeatMP3 Pro you can modify, manage, and monitor the tags of your audio files in a single processing session. Just select a set of audio files, choose the way in which your files will be organized and renamed from a wide set of commonly used predefined patterns, select the location where you want your files to be moved and you’re ready to go. Get a perfectly organized music collection in just three easy steps.